Our team is passionate about plants and gardens. Together we have over 100 years of knowledge, experience and qualifications. Desley, Kellie, Nicky, Randall, Felicity, Marc & Meredith are all dedicated to helping you choose the right items for your home and garden style. 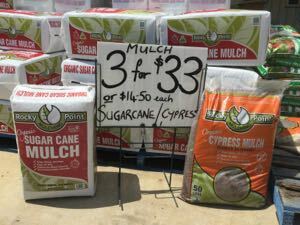 A great range of bagged potting mixes, garden soil, composts, mulches, fertilisers, trace elements, soil conditioners, plant protection, pest controls - prevention & cure, stakes, ties, pots, seed, bulbs, labels, etc. 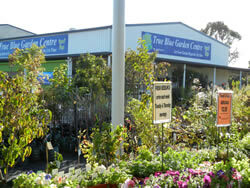 Copyright © 2014 True Blue Garden Centre. All Rights Reserved.